GoDaddy is one of the biggest names in domain registration and web hosting. They are a powerhouse because they offer affordable domain name registration, site hosting, and site building – all with a reputation for adequate customer service, technical assistance, security, and uptime. You can certainly find cheaper alternatives out there, but remember that you get what you pay for. With GoDaddy you get both reasonable prices and good service. Of course, those commercials don’t hurt either. For starters, new customers can choose between a Linux or Windows operating system. After that, GoDaddy’s shared hosting, now known as GoDaddy 4GH hosting, includes e-mail features like web mail access, catchall addresses, spam and virus filtering, auto responders, encryption, and more. GoDaddy provides full domain services like DNS management, domain aliases, and external domains. Site management and tracking is a piece of cake with FTP uploads, SSH access, site statistics, and raw site logs. For content management GoDaddy has a complete line-up of software packages that can be installed with the click of a mouse. Need a private forum or social network? It’s a click away. You can quickly and easily install applications such as a photo galleries, databases, and Wikis. You can even have your own blog, WordPress, portal, or e-commerce platform set up and ready to go within minutes. There are many more features GoDaddy offers, but the most important is their security and uptime. GoDaddy owns and operates all of their data centres; you’ll never have to worry about third-party operations and overseas tech support. GoDaddy data centres are staffed 24/7 and feature state-of-the-art hardware, full redundancy, and network monitoring systems. Go daddy’s virtual dedicated servers (VDS or VPS) offer both Windows and Linux operating systems; Linux flavours include a CentOS and Fedora. Customers can choose the plan that’s right for them and then use their virtual server for just about anything. Manage multiple websites, set up a gaming platform, or even create your own shared hosting environment for your reseller accounts. GoDaddy promises that your storage space and RAM are always guaranteed – they will never overload the system. With every VPS account you get 24-hour system monitoring, a dedicated 24/7 security staff, and FTP access. You also get three dedicated IP addresses, live support via telephone or Internet, protection against bandwidth overage, and GoDaddy’s TippingPoint system to prevent outside intrusions. If all this weren’t enough, they complete the package by throwing in free advertising credits for Facebook, Google, and Bing/Yahoo! All plans also include separate pricing for customers interested in one or six month options. Those prices are slightly higher on a per-month basis. GoDaddy’s dedicated servers are perfect for those who want an entire machine all for their websites. You can choose between Windows or three types of Linux options – CentOS, Fedora, or Ubuntu – as well as half a dozen 64-bit options. You get lightning fast processors, as much as 8 GB RAM depending on your plan, and GoDaddy’s Concierge service that will do all the setup work for you. All dedicated server plans also include 24/7 live support, network monitoring, and dedicated security staff. Need more? GoDaddy dedicated servers also come with free SSL certificates, three dedicated IP addresses, bandwidth overage protection, state-of-the-art hardware, phone and web-based tech support, and much more. And just like their VPS hosting, your dedicated server is incredibly versatile. As always, GoDaddy will throw in free advertising credits for Bing/Yahoo!, FaceBook, and Google. All plans also include pricing options for one, six, and twenty-four month plans. It is possible to get a good discount on any GoDaddy order by using a valid coupon code. 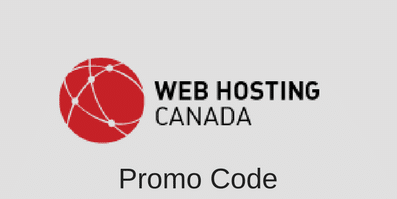 You can use a GoDaddy coupon code at checkout, just before paying for your hosting plan order. Get a 15$ discount on your order of $75 or more of GoDaddy products and services when you place an order using this GoDaddy promo code. Get a 10% discount on any product and service on GoDaddy when you place an order using this GoDaddy promo code. Get a 5$ discount on your order of $30 or more of GoDaddy products and services when you place an order using this GoDaddy promo code. Register a .com domain name on GoDaddy for $7.99 per year when you use this GoDaddy promo code. GoDaddy’s biggest area of weakness seems to be their customer service and technical support. For expert web builders this is usually not an issue, neither is it usually an issue for the small user hosting one or two sites. It’s those “in between” clients who have enough knowledge to get things going but still need support from time to time. The most common complaints have to do with their billing support. Their support ticketing system also comes up as suspect on many customer reviews. On the positive side, live chat and telephone service both seem to work well. GoDaddy’s pricing is very competitive, they offer plenty of useful features, and owning their own data centres is a big plus. However, complaints about billing and technical support should not be overlooked. On a scale of 1 to 5, this reviewer gives GoDaddy 4 stars. For more information about the different hosting plans and services offered by GoDaddy, visit their website. This entry was posted in GoDaddy, Web Hosting Reviews on July 1, 2011 by WHR.